Chosen entirely by children, the shortlist for the Children's Book Award 2019 has just been announced! The books are divided into 3 age ranges and all are listed below. Who will you vote for? The Children's Book Award is now in its 39th year and is owned and run by the Federation of Children's Book Groups, a charity set up by Anne Wood, the Founder and Creator of Ragdoll Productions and the originator of The Teletubbies. The Awards were founded by author and librarian Pat Thompson to celebrate the books that children themselves were reading. (They were known as the Red House Children’s Book Award during the 14 years of The Book People’s sponsorship). 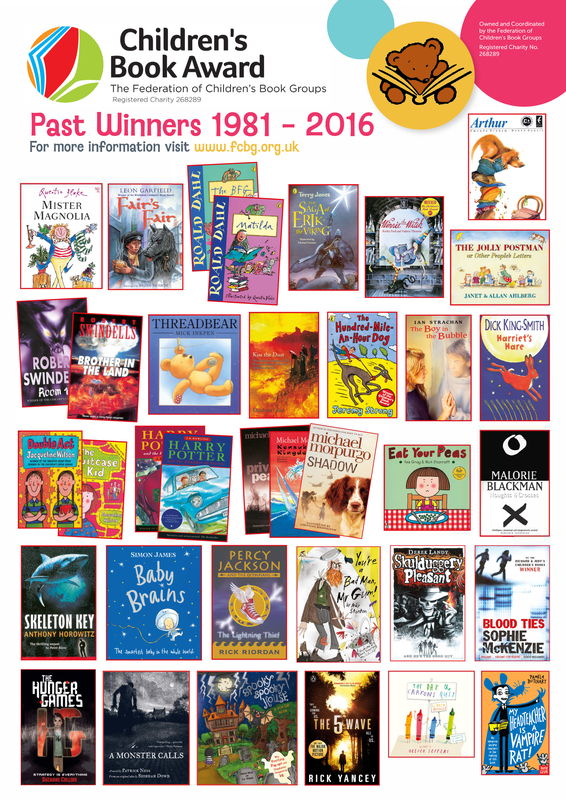 This years titles were chosen by children from across the country who read and voted for the books at events organised by the FCBG. The FCBG is celebrating its 50th anniversary this year, with a host of exciting activities, launches and events through the year. It acts as an umbrella organisation for local Children’s Book Groups all over the UK. The groups organise a variety of activities including author events and other activities that promote the enjoyment of children’s books. It has brought acclaim and strong sales to past winners such as J.K. Rowling, Patrick Ness, Andy Stanton, Malorie Blackman, Anthony Horowitz and Michael Morpurgo, who has won a record three times. The award has often been the first to recognise the future stars of children’s fiction and has the ability to turn popular authors into bestsellers. Any child or young person across the UK can participate and the voting decides the selection of the Category Winners and Overall Winner. Vote online here - www.fcbg.org.uk/childrens-book-award-2019. The deadline for online voting is 12.00 Friday 10th May 2019. The category winners and the author of the best children’s book published in the 2018 nomination period will be announced at a glittering awards ceremony which takes place in Central London Saturday 8th June 2019. For more information visit www.fcbg.org.uk and to see updates, you can follow on twitter @CBACoordinator #FBCGCBA17 or visit the Children's Book Award facebook page where you can follow the blog tour visiting each book on the shortlist. Download a full a full itinery here.